Florence, S.C.-based WebsterRogers LLP (FY13 net revenue of $17.4 million) admitted Jill Kovalich as the firm’s director of practice development. She provides guidance and support to partners and associates to achieve strategic goals through business development and marketing initiatives. 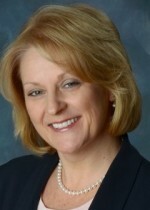 Kovalich comes to WebsterRogers from Connecticut, where she served as director of marketing for mid-size and national accounting firms. She brings more than 20 years of experience in marketing, sales and business development to the firm, having served in Fortune 100, large and mid-size organizations.